Seems to be fairly vintage, but no date on the yarn. All three of these are from the same dye lot. I have SIX total skeins, and are listed as two items. Details below. 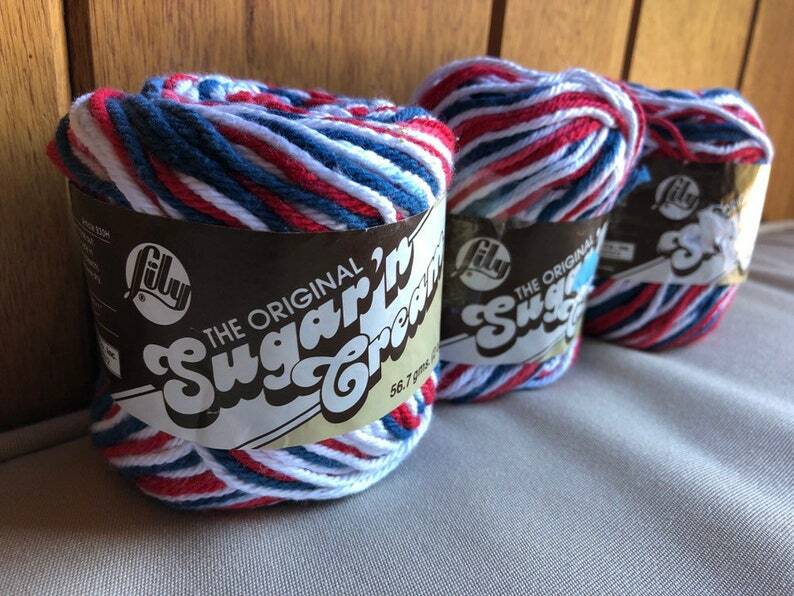 Color: 162 Yankee Doodle -- Red White and Blue -- perfect for fourth of July projects!